Thanksgiving is a wonderful holiday. It is all about giving thanks for all that you have. But, sometimes we forget about the true meaning of Thanksgiving with the food, parades and football games…. we lose focus. 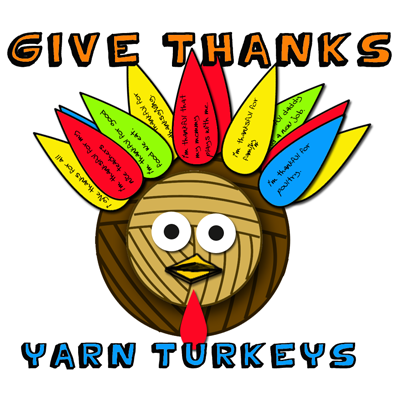 Well, I have a great craft for you that will keep the focus on the true meaning of Thanksgiving. 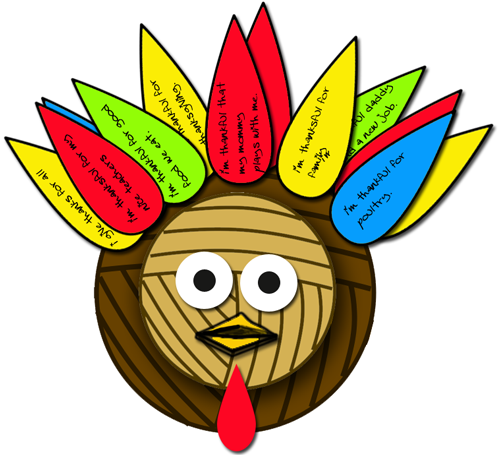 Everyone that is at your Thanksgiving celebration will write down the reason they are thankful on a turkey feather which is then added to this Turkey craft. 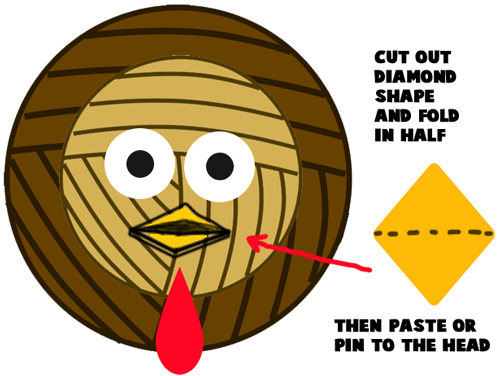 Everyone will love participating in this beautiful Turkey craft. So, let’s get started. 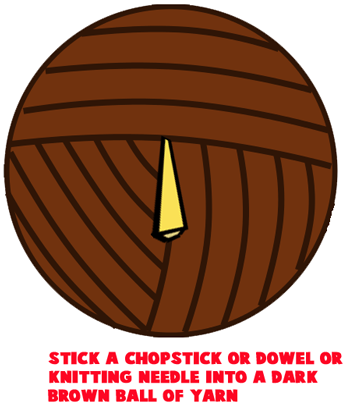 Stick a chopstick, dowel or knitting needle into a dark brown ball of yarn. 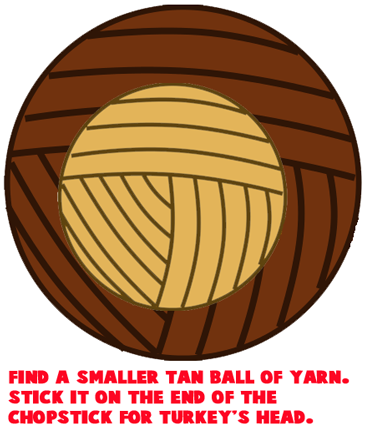 Find a smaller tan ball of yarn. Stick it on the end of the chopstick for turkey’s head. 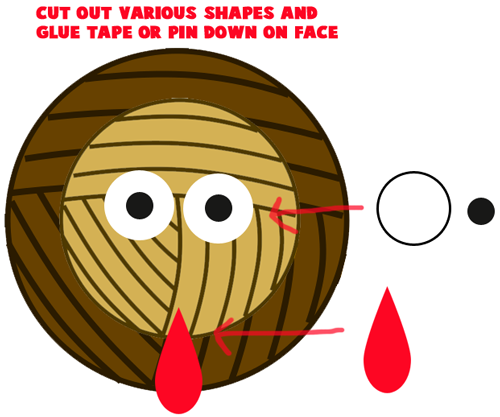 Cut out various shapes and glue, tape or pin down on face. Cut out diamond shape and fold in half. Then paste or pin to the head. 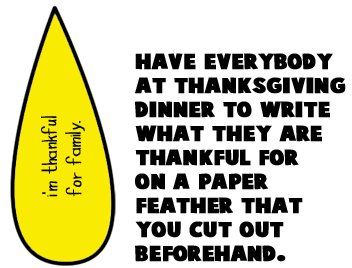 Have everyone at Thanksgiving dinner write what they are thankful for on a paper feather that you cut out beforehand. 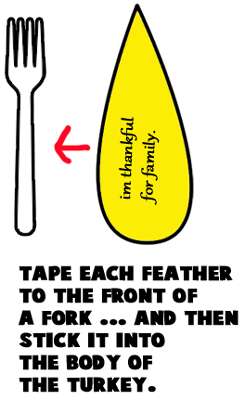 Tape each feather to the front of a fork… and then stick it into the body of the turkey. Isn’t that an awesome Turkey?! There will be no turkey that will compare to this one…. after all, this turkey was made by your friends and loved ones. It will make for a beautiful centerpiece during your Thanksgiving meal.